Where do you hide from danger, when you can´t hide anywhere? 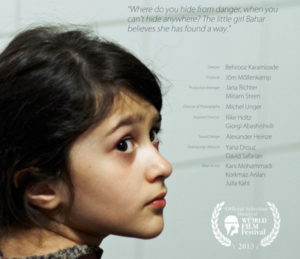 The little girl Bahar believes she has found a way. „Bahar in Wonderland“ is the story of Bahar, a little girl, who given the circumstances she is in, is not able to be a child. She is escaping with her father from Syria to Germany. In order to fight her fears and defend herself from danger she believes in being able to get invisible by closing her eyes.